Due to surprisingly rapid popularization of smart phones and Social Network Services (SNSs), ordinary people generate and share a large amount of data using SNSs on smart phones. Recent studies have revealed that messages posted on SNSs such as twitter can be used for detecting various kinds of facts in the real world such as events, trends, and user sentiment, which can be considered as kinds of social sensor data. Social sensor data are very useful for Big Data analysis because these tell many things representing the real world, which cannot be known by only analyzing traditional Big Data. In this talk, we will present our recent studies on social sensing based on data mining on SNSs such as Twitter. We will start with our approaches for knowledge extraction from Twitter, and then move on to some fundamental techniques which can be used commonly for such knowledge extraction. We will also present our on-going work for building a framework to share not only social sensor data (i.e., SNS analytical results) but also definitions of social sensor data and analytical procedures. We will conclude this talk with some discussion on future research opportunities for social sensing. 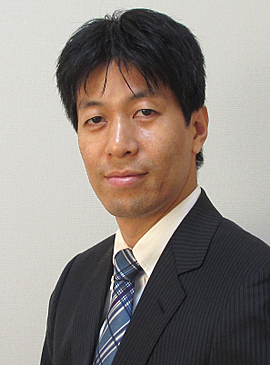 Takahiro Hara received the B.E., M.E., and Dr.E. degrees from Osaka University, Japan, in 1995, 1997, and 2000, respectively. Currently, he is a Distinguished Professor of the Department of Multimedia Engineering, Osaka University. He has published more than 440 peer reviewed papers, including a large number of papers published in top-ranked journals and conferences. He served as a Program Chair of IEEE MDM'06, 10, and 18, IEEE AINA'09 and 14, IEEE SRDS'12, Mobiquitous'13, IEEE UIC'14, and DaWaK'15 and 16. His research interests include distributed databases, mobile computing, and social computing. He is serving as a director of Information Processing Society of Japan (IPSJ) and Database Society of Japan (DBSJ). He is a distinguished scientist of ACM, a senior member of IEEE, and a member of three other learned societies. The objective of this seminar is to introduce the emerging research area of 'Fog Computing' or 'Edge Computing' and discuss the research opportunities and research challenges in this area. In order to do so, firstly, this seminar presents the transition in the discipline of Distributed Computing from 'Grid Computing' to 'Cloud Computing' to ‘Cloud-of-Things’ and then to a ‘Fog computing’ environment. It then highlights clearly the role of 'Internet-of Things' and 'Cloud Computing' in realising ‘Fog Computing’. Secondly, it briefly discusses some research issues and challenges associated with realising and developing practical Fog Computing-driven solutions. Finally, it outlines and discusses the future role of 'Cloud-of-Things' in achieving business efficiencies in both developed and developing economies. Farookh Khadeer Hussain is an Associate Professor at the School of Software and the Centre for Artificial Intelligence (CAI) of the University of Technology Sydney (UTS). He is also the Head of Discipline (Software Engineering) in the School of Software. Within CAI, he formed and provides leadership to the Cloud Computing group. His key research interests are in Cloud-of-Things, Cloud Computing, Internet-of-Things, Cloud-driven Data Analytics, Fog Computing and Block chain. He has procured external funding worth more than $2.5 million for various projects. His research has been funded by the prestigious Australian Research Council (ARC) and by other Australian government agencies such as the Department of Industry, Innovation and Science etc. He has successfully co/supervised more than 10 PhD students to completion. Currently, he is supervising around 9 PhD students. He has published widely in top journals such as IEEE Transactions on Industrial Informatics, IEEE Transactions on Industrial Electronics, The Computer Journal, Journal of Computer and System Sciences, Journal of Network and Computer Applications, Future Generations of Computer Systems, Knowledge Based Systems etc... His H-index is 27, i-10 index is 83 and his research has received more than 3250 citations.